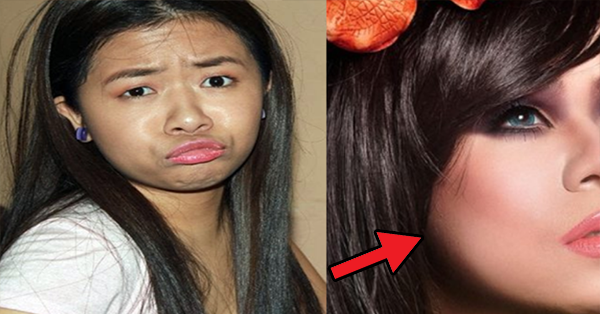 Home / Celebrity / News / Viral / LOOK: Kiray Celis Transformation After Breaking Up With Boyfriend! LOOK: Kiray Celis Transformation After Breaking Up With Boyfriend! The local showbiz industry seemed to be filled with news of celebrities undergoing plastic surgery. Recently, Charice Pempenco transforming to Jake Zyrus has shocked netizens and later netizens felt pretty much excited upon knowing the news that Marlou Arizala of hasht5 went under the knives to improve his looks. Now, Kiray Celis is invading the internet for an alleged plastic surgery procedure done to her face. How true is that? These photos of Kiray Celis went viral online for looking very different compared to her past self. As seen in the photos, she was given a full make-over from head to toe and her wardrobe was also transformed to look more fabulous and fancy. Compared to the past Kiray Celis, based on the photos, the young comedian looked more alluring and high fashioned. Her hidden beuty was revealed and her assets such as her petite yet proportioned body was enhanced. The question is, did Kiray underwent plastic surgery to achieve this look? Without going around the bush, the answer is ‘no’. Thanks to the help of hair and make-up artist Fanny Serano who was full man incharged behind Kiray’s new look. According to Serano, he wanted to give Kiray a full make-over because he wants to boost more the comedian’s confidence after all the bash and shame she’s receiving from people on social media during her appearance of Star Magic Ball where she was hailed as one of the worst dressed artists. “Why KIRAY CELIS?…When i saw her fotos at the Star Magic Ball at nabasa ang mga panglalait sa image nya on that event as one of the worst dressed stars, i got hurt… Kahit hindi kami magkakilala ng personal, i told myself that sobra namang mamintas ang mga tao…personalan na talaga! Aaminin ko na NA-BWISIT AKO SA MGA LAITERONG PINTASERONG nag-comment kay Kiray,” Serano said on his interview with PEP. You can also read: Watch How Ellen Adarna Treat Her Maid Caught Netizens Attention!